It's amazing how responsive we all are to fragrance. Irrespective of any memories it may trigger, aromas have an immediate and direct effect on our state of mind and body (via neural pathways which go direct to the brain). Create the mood that you want in your own space our microdiffuser and enjoy the benefit and beauty of essential oils at the same time. Use them in with our Oshadhi essential single essential oils or essential oil blends. This Microdiffuser is a great way to enjoy the magic of essential oils without using heat. It has two modes, constant or interval diffusion, and works with any USB power supply. It is easy to refill and can be used with 5 and 10ml bottles. Great for the car! 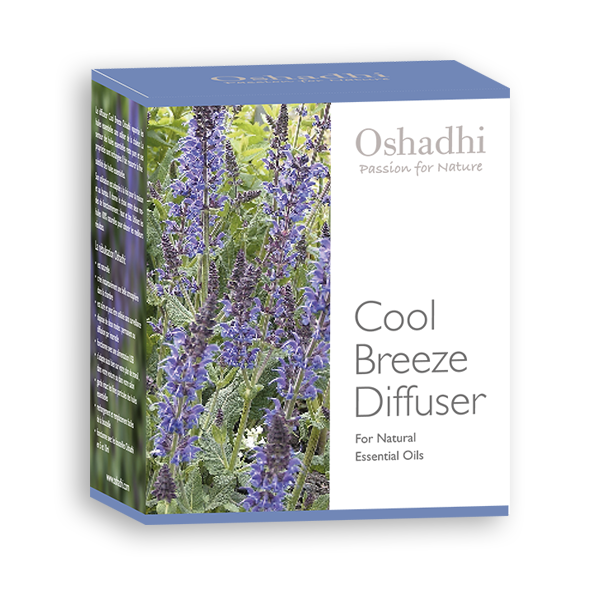 The Oshadhi diffuser ensures that the fragrance of the essential oil stays pure and its properties unchanged. The Cool Breeze Diffuser is suitable to use both at home and in the workplace. It has a choice of low and high output. Use 100% natural oils to get best results. * A nebulizer is a device that atomizes essential oil into micro fine droplets which are then sprayed into the atmosphere. This action atomizes and ionizes all molecules of the essential oil. You get maximum therapeutic benefits and maximum fragrance. It's amazing how responsive we all are to fragrance. Irrespective of any memories it may trigger, aromas have an immediate and direct effect on our state of mind and body (via neural pathways which go direct to the brain). Create the mood that you want in your own space our microdiffuser, and enjoy the benefit and beauty of essential oils at the same time. 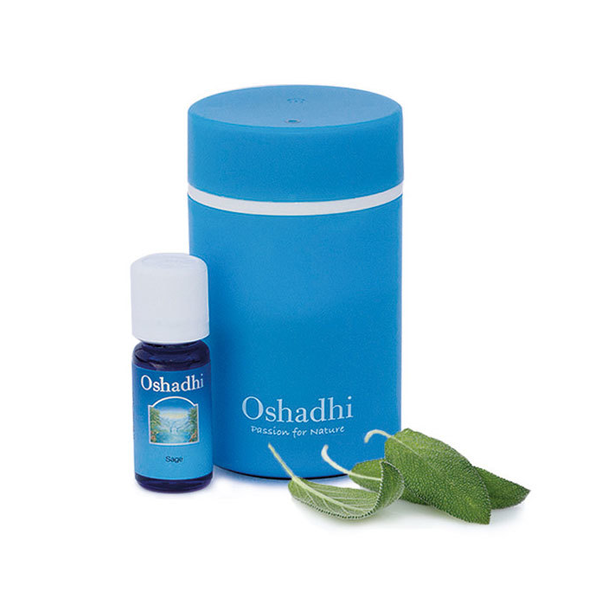 Use them in with our Oshadhi essential single essential oils or essential oil blends. It has two modes, constant or interval diffusion, and works with any USB power supply. It is easy to refill and can be used with 5 and 10ml bottles. The Cool Breeze Diffuser is sutable to use both at home and in the workplace. Great for the car! It has a choice of low and high output. Use 100% natural oils to get best results.